I am so excited to team up with babyGap and Milk+Booties in promoting childhood reading and the launch of the brand-new Peter Rabbit line at babyGap with a free family event! 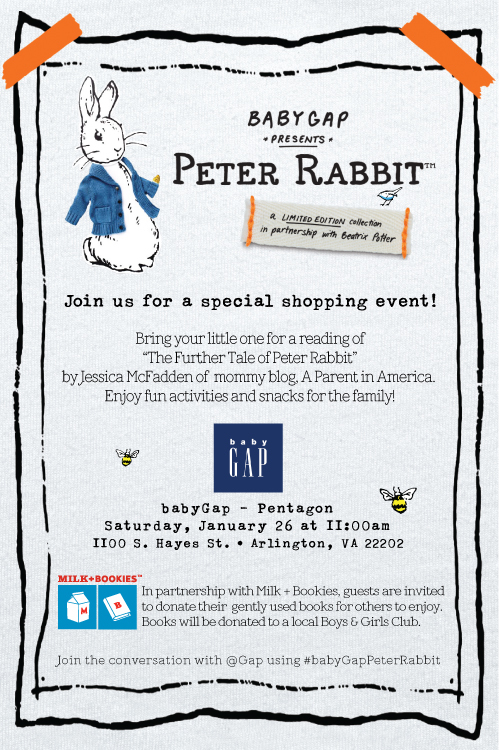 This free family event will be held at the Pentagon City babyGap store at 11 a.m. In addition to the reading, babyGap is providing milk and cookies, coloring activities and special giveaways. Families are also encouraged to bring gently used books from home that will be donated to local Boys & Girls Clubs. Gap has partnered with Milk + Bookies, a non-profit organization that encourages children to donate books to children in need for this event and book drive. Reading? Books? Charity? 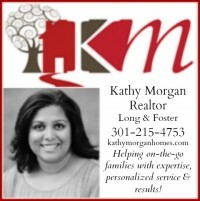 A free Saturday kid-focused event? Milk and cookies? Shopping? What could be better? If you do not live in the Washington, DC area, Gap is hosting 30 simultaneous events across the country in babyGap stores in Boston, Chicago, Dallas, Los Angeles, New York, Miami, Philadelphia, San Francisco, and Toronto, too. 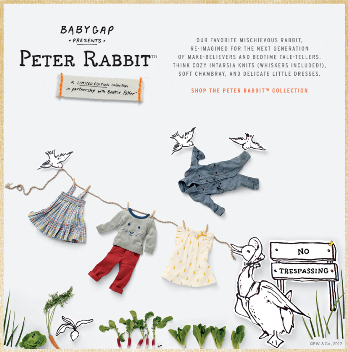 By the way, the new Peter Rabbit clothes at babyGap for infants and toddlers are adorable classics. I can’t wait to pick up a few pieces for my expectant sisters-in-law and friends! 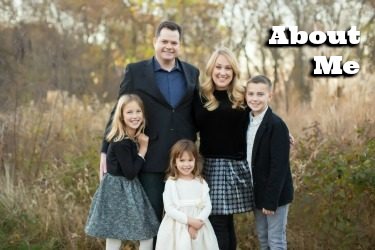 Disclosure: I will receive products for my children as thanks for the donation of my time. I have had the chance to read my book to a few schools and it was an amazing experience. I’m sure you will love it! Have fun!